Doing some web surfing on alternative energy projects I stumbled upon a few YouTube videos comparing nuclear power to things like solar and hydroelectric power. In the comments of these videos I kept seeing mentions of thorium reactors and how much safer they are than the plants currently in use. I didn’t think much about it at the time, I’m already of the opinion that nuclear power is the way to go. In my boredom today I decided to take a closer look and see what all the buzz is about. As I write this, I find myself excited and pissed at the same time. Excited because there’s a new kind of nuclear reactor that’s inherently safe, can’t melt down, doesn’t require active cooling systems, uses less material, uses material far more abundant than uranium, eats existing waste, produces less waste and what waste it does produce can be used as industrial materials, can be turned on and off at will rapidly and makes it nearly impossible to create weapons grade materials from. Liquid Fluoride Thorium Reactors (LFTR, pronounced “lifter”) do all of that and more. Every argument against nuclear energy wiped out in a single reactor design. Cheaper, cleaner, an abundant fuel source, safer, faster payback, abundant electricity production, smaller, scalable, portable, breeds useful materials (like neodymium, the strongest permanent magnet material), the list goes on and on. Pissed because it’s not new at all. 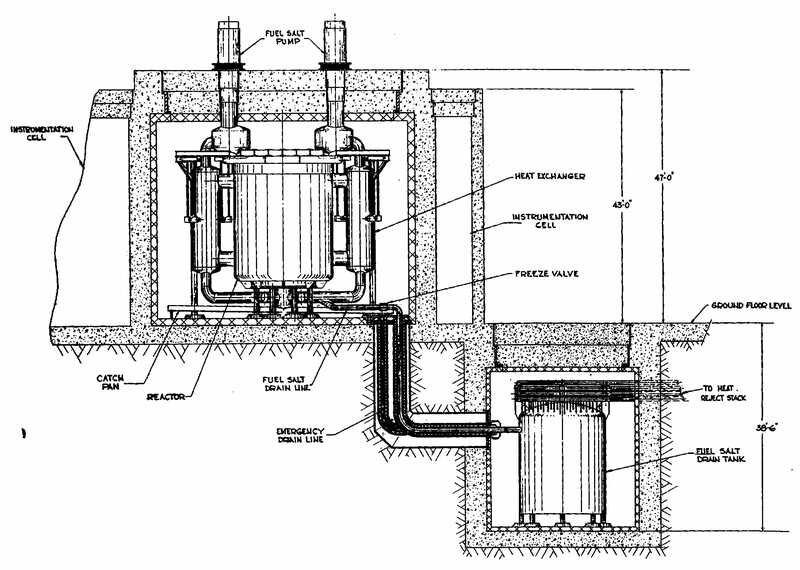 In fact it was designed and tested at the same time as the current Light Water Reactors. Unfortunately at the time nuclear energy was being developed, we were neck deep in the Cold War. Between the need to produce fissile material for weapons and a lot of politics LFTR was shelved. I won’t go into a ton of details here. I want you to do your own research on thorium and the liquid fluoride thorium reactor. Find out what the hype is all about. See how awesome this technology really is. See how it neutralizes your fears about nuclear energy for yourself. And most of all, experience the excitement I’m feeling right now.